Being a T-Girl is more than just shopping and makeup, there’s also a very important need for support, help with medical issues, legal advice and more. Here are a few resources that you might find helpful. Getting your family to understand your gender identity can be a long, complicated, and stressful process. Sometimes families feel alone when a family member comes out as transgender, and don’t know how to be supportive and affirming. Transforming Families is a community where transgender, gender non-conforming, and questioning youth and their families come together to support each other in a safe, welcoming space. At our monthly gatherings, separate breakout groups for parents, kids, siblings, and teens provide the opportunity to meet and learn from other people traveling the same path. Families meet other families to share, talk, and hang out. We’re here to listen to each other’s stories, exchange resources, build community, and have fun! It’s a simple idea that works. 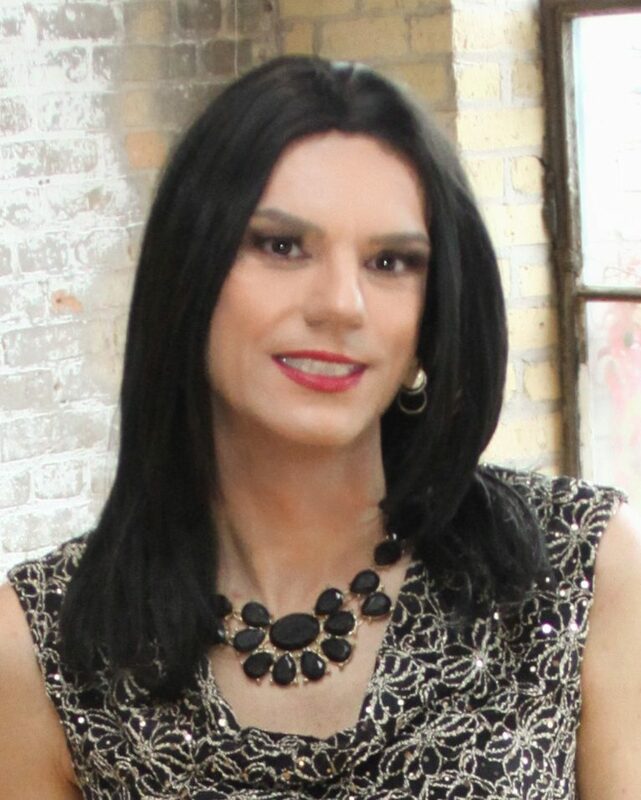 Their mission is providing resources and support to all members of the transgender community. Building relationships through fellowship and understanding. Today, NCTE has grown to a staff of 17 and works at the local, state, and federal level to change laws, policies and society. This is an excellent site for information about changing your legal name and updating your name and gender on federal records. PFLAG stands for Parents, Families and Friends of Lesbians and Gays and is a support, education and advocacy organization. PFLAG is a tax exempt, non-profit organization that is not affiliated with any political or religious institution. At PFLAG, participants find a confidential, warm and supportive setting where we can share our concerns with others and find comfort and reassurance about our gay children, family members, friends and ourselves. They are working for racial, social, and economic justice, and recognize that we are part of a multi-issue movement that includes gender liberation, as well as differences around race, class, age, sexuality, ability, immigrant status, and much more. Gender transition is a process whereby transgender people undergo certain medical, social, and legal steps in order to transition into a gender other than the one that they were assigned at birth. Like many forms of medical treatment, however, gender transition for transgender people often costs money. This article will inform you about how much gender transition costs, how much certain transgender surgeries cost, and more. Anyone can fall victim to drug and alcohol addiction, but some groups are more at risk than others. One such group is the LGBTQ+ community, primarily due to the various mental health disorders that develop as a result of rejection, abuse, discrimination, and ostracism from society or even their own homes. Many of these individuals struggle with a variety of substances at a higher rate than the heterosexual community. The good news is that there are resources available to help. Whether you’re a member of the queer community, or you’re the loved one of someone who is, this page can address many of your questions. Are you in search of a drug rehab center with treatment programs specifically designed for LGBTQ+ individuals? Do you want more information about substance abuse in this community? You can find answers here. The LGBTQ community is strongly impacted by alcoholism for a number of reasons. One of the most important is the intense bigotry that the LGBTQ community faces on a daily basis. This is especially true for older LGBTQ individuals or those who reside in less tolerant regions. This bigotry often results in intense emotional distress, including anxiety, fear, and feelings of low self-esteem. Many turn to alcohol as a way to self-medicate, at least temporarily. As time goes on, this “self-medication” actually makes these symptoms worse, leading to more drinking, and a downward spiral has begun. Additionally, alcohol use has become deeply ingrained in LGBTQ society as a result of history. For many decades, the only places that LGBTQ individuals, in particular gay men, could be open about their sexuality with other LGBTQ individuals and feel safe was in gay bars. Drinking became one of the primary social interaction in the community. In fact, many of the most important moments in LGBTQ history, such as the Stonewall Riots which led to the creation of the modern LGBTQ rights movement, were closely connected to gay bars. As a result, alcohol abuse, even heavy alcohol abuse, has become more normalized in the LGBTQ community than society at large. Perhaps most damaging, many members of the LGBTQ community do not have access to the same support systems as other members of society. Many are barred from attending faith-based support systems, or they at least have to hide their sexual identity to take part. Many LGBTQ individuals lose the support of their families, or at least significant parts of their families, as a result of coming out. In particular, many LGBTQ youth end up homeless after either running away from or being kicked out by their families. You can find more information here. I’d like to provide some resources for those who are struggling with addiction when it comes to drug and alcohol. If you think you need help, please get it. Risk factors for alcoholism can stem from untreated trauma and co-occurring disorders faced by members of the LGBTQ community. Co-occurring disorders can occur in response to minority stress in members of the LGBTQ community. Some of these stressors can arise from childhood trauma or invalidation with identity. Studies have shown members of the LGBTQ population have more co-occurring disorders when compared to their heterosexual counterparts, especially during adolescence. Up to 52% of LGBTQ youth attempt self-harm, 44% considered suicide, and 42% sought medical assistance for mental distress. PRIDE Institute is committed to providing lesbian, gay, bisexual, and transgender people a road to recovery through evidence-based substance abuse, sexual health, and mental health treatment. PRIDE Institute strengthens resiliency and enhances the wellness of LGBTQ+ people through treatment programs grounded in the traditions of recovery while incorporating current evidence-based practices. Rainbow Health Initiative’s goal is health equity for the LGBTQ community. Rainbow Health Initiative was founded in 2001 by a group of community activists, physicians, and health advocates who noted the significant health disparities facing members of Minnesota’s gay, lesbian, bisexual and transgender communities. They came together with the common goal of improving the health of queer Minnesotans. They envision a state where LGBTQ individuals have equal opportunities, protection and rights. They are working toward the day when all Minnesotans have the freedom, power and confidence to make the best choices for their own lives. The Association of American University’s 2015 Campus Climate Survey on Sexual Assault and Sexual Misconduct reported that 60% of LGBTQ students reported incidences of sexual misconduct and harassment; comparatively, only 45% of their heterosexual classmates did the same. These numbers echo a 2003 study by the National Gay and Lesbian Task Force, which found that 43% of college students felt that their school environment was homophobic. Compounding the issue is that many young LGBTQ adults don’t realize their sexual orientation until they’re in their late teens. Amidst these trends and the societal fallout from the 2016 Presidential election, incoming LGBTQ freshmen may feel particularly sensitive about their school’s ability to provide a supportive and safe learning environment. For some LGBTQ students, a lack of familial support can also lead to emotional and financial obstacles to attending college. Fortunately, many colleges across the country are LGBTQ-friendly. These schools have developed programs that address the unique needs of LGBTQ students, including scholarships, alternative housing, inclusive curricula, campus life presence, healthcare, counseling, and more. Our guide to LGBTQ colleges breaks down the individual components that make a campus LGBTQ-friendly, and is intended to help you navigate potential schools.